I’m often asked: What can and what can’t general building contractors do? Under California law “B” General Building contractors have specific guidelines to follow when it comes to trades they can perform. Business and Professions Code section 7057 states that a general building contractor only can take a prime contract that requires two or more unrelated building trades, and that framing and carpentry cannot count as one of the two trades. However, a general contractor may take a prime contract that is only for framing and carpentry, and no separate unrelated trade. If a B licensee takes a subcontract, it, too, must involve two unrelated trades (not including framing and carpentry toward the two) or a B can subcontract to only do the framing and carpentry. 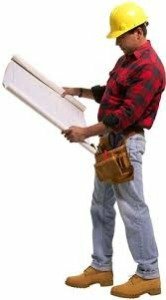 There is no limit to the number of unrelated trades a “B” licensee can perform on a given contract, provided that there are two or more, and that framing and carpentry don’t count as one of the two that must be performed at a minimum. Two trades that a “B” license holder may not perform as a prime or subcontractor are fire protection and water well drilling. B&P Code §7057 states (full text below) that general building contractors may not do this work unless they qualify for and add these classifications to their license, or unless the general building contractor holds the appropriate license classification or subcontracts with an appropriately licensed specialty contractor to perform the work. The “B” also may subcontract the fire protection or well drilling portions of the project to a qualified licensee. (a) Except as provided in this section, a general building contractor is a contractor whose principal contracting business is in connection with any structure built, being built, or to be built, for the support, shelter, and enclosure of persons, animals, chattels, or movable property of any kind, requiring in its construction the use of at least two unrelated building trades or crafts, or to do or superintend the whole or any part thereof. This does not include anyone who merely furnishes materials or supplies under Section 7045 without fabricating them into, or consuming them in the performance of, the work of the general building contractor. Knowing what a building contractor can and can’t do because of specific guidelines they have to follow is really important to know about. If people are wanting to get more of these services done, they need to make sure that they know what they can do for them. Plus, it is all different from what area it is that you are in too. Thank you for your input Quin.